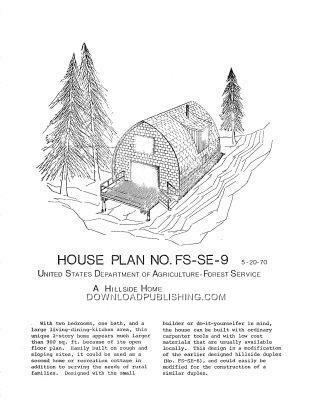 This is a 10 page set of Blueprints that were Professionally Drafted back in the 1970's by the U.S. Forest Service. 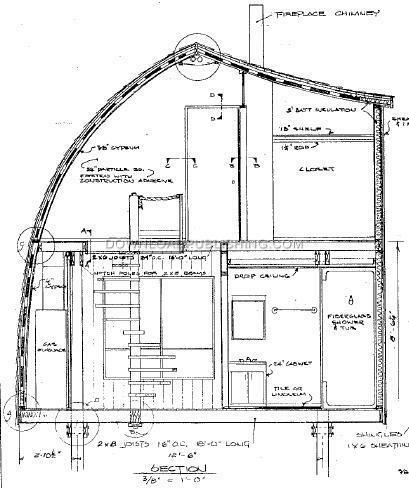 17x28 ft. Arch Rafter house. 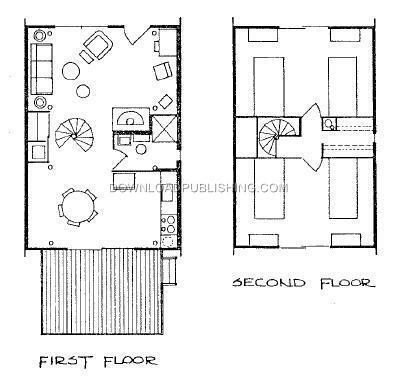 With two bedrooms, one bath, and a large living-dining-kitchen area, this unique 2-story home with Spiral Staircase, appears much larger than 900 sq. ft. because of its open floor plan. 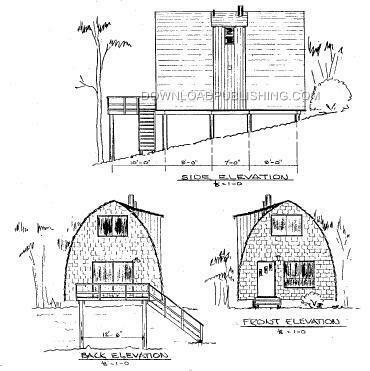 Easily built on rough and sloping sites, it could be used as a second home or recreation cottage in addition to serving the needs of rural families. Designed with the small builder or do-it-yourselfer in mind, the house can be built with ordinary carpenter tools and with low cost materials that are usually available locally. Always check you local Building Codes before building as periodically, changes are made in the National Design Specifications for Wood Construction. Changes in building materials, snow load variations and the serious impact of deviations from the plan make it most important that professional services be utilized to tailor the plans to your situation. Suggested services include, but not limited to: supervision of site selection and construction; assurance of compliance with codes, regulations and structural design; and provisions for utilities, waste management, and access.